At Splendid, they are outfitters of the inspired life. With an effortless aesthetic and thoughtful details, they craft premium clothing made for dressing comfortably and living artfully. Earn 3.5% cash back on other items. 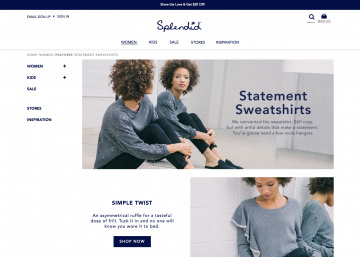 Click a Coupon or click Start Shopping to earn 3% Cash Back at Splendid.